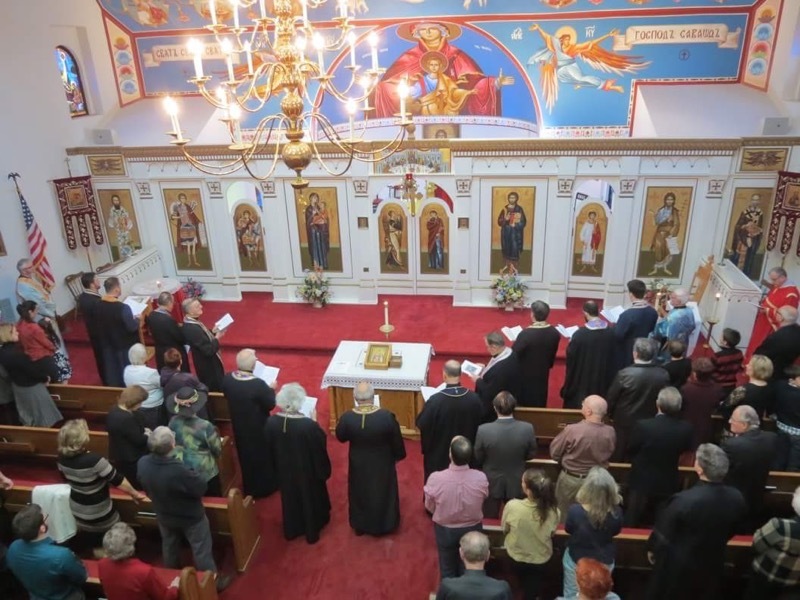 With the blessing of His Grace Bishop Irinej, St. Demetrius Serbian Orthodox Church in Fairlawn, Ohio, hosted Pan-Orthodox Lenten Vespers on the 4th Sunday of Great Lent. Newly-installed priest Fr. Dragan Goronjic, Dean of the Cleveland Deanery, invited not only brethren from within the Cleveland Deanery to concelebrate, but also Orthodox clergy from throughout the greater-Akron community. 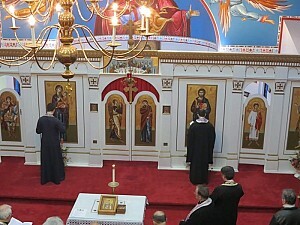 In addition to twelve priests and two deacons from multiple Orthodox jurisdictions, St. Demetrius was filled with roughly two-hundred faithful Christians seeking to deepen their Lenten experience by attending this additional service, as well as the educational lecture that immediately followed it. The guest speaker this year was Fr. Dragoslav Kosic, Dean of the St. Sava Cathedral in Parma, Ohio, who offered a wonderful exposition on St. John of the Ladder, much to the delight and edification of all those in attendance. The evening concluded in church hall with a delicious Lenten meal hosted by the St. Demetrius Circle of Serbian Sisters.